Lysa had finally managed to plan her wedding to perfection, she had everything ready, from the choice of venue, food, decorations and music. She even managed to snag a very expensive photographer from Bridgeport. All that was missing was the perfect dress and all of her attempts of acquiring the said item so far were fruitless and that is why this early summer weekend she was driving into the city with the Gradle twins. This post contains a table of contents for the Mayor family with synopsis of each post if you don’t want to read them all (so spoilers possible). The Mayor family started with Jill Mayor, she was a townie who got involved with Phaena Santoro. The two got married and for a while lived in happiness. Their happiness dissolved after Jill had an affair with Jesse Hoves and got pregnant. She and Phaena got a divorce and desperate she moved in with Jesse and his family so they can raise their son Zeke Mayor together. After Jill and Jesse broke up she had an affair with Darryl Coates and had another child, a daughter named Vanessa. For a while Jill and her children, two biological children and her daughter Lysa she and Phaena adopted, and shared custody, lived with the Hoves. Then after Jill got engaged to Nala they spent some time living with her but after Jill decided not to go trough the wedding they bought their own house. Told from Vanessa’s point of view. Vanessa comes back to the Hoves home after spending some time with her father. She catches up with Laquita and from here she learns her mother got engaged without telling her. This hits her hard because she fears her mother would send her away again but she is comforted by Zeke and Laquita. When she finally confronts her mother she learns she has a choice in the matter too which finally settles the matter. We also learn Vanessa has a crush named Walter and that Laquita is fascinated by Dina Caliente although she dislikes her daughters. Told from Jesse’s point of view. In this post we first learn Jill has doubts about marrying Nala. She worries how it would impact her children, we also learn she had taken a job in the diner and left the military for their sake. We also learn Vanessa went out with her crush Walter and they got arrested at the public pool because the police thought they broke in to skinny dip. Jesse tries teaching Zeke to dance and encourages him to ask the girl he likes out. Told from Jill’s point of view. We learn that Nala hosted a surprise wedding for Jill and that didn’t really work out but she decided Jill and her children stay in her house anyways, at least until their own is completed. She feels guilty over how things turn out and really wants to get out of there. We also learn that Jill is now seeing Mortimer Goth, the guy who was the reason Nala’s previous marriage had fallen apart and for many reasons Jill is trying to keep this a secret, from Nala but also her children. Jill also hears from Lysa that her ex-wife was adopting another kid with her new wife which strangely upsets her, but she then gets a promotion and it gets her mind away from things. Told from Lysa’s point of view. Lysa goes out and gets drunk angry at her boyfriend Dougie who chooses to spend time with his best friend Luther rather than with her. She walks in on Vanessa and her boyfriend Walter making out in the living room. The next day Zeke talks about romantic things he has planed for his girlfriend Marty and Lysa decides to take her own relationship to the next level. On her way to the bistro she sees her mother with Mortimer Goth but doesn’t figure out what’s happening. 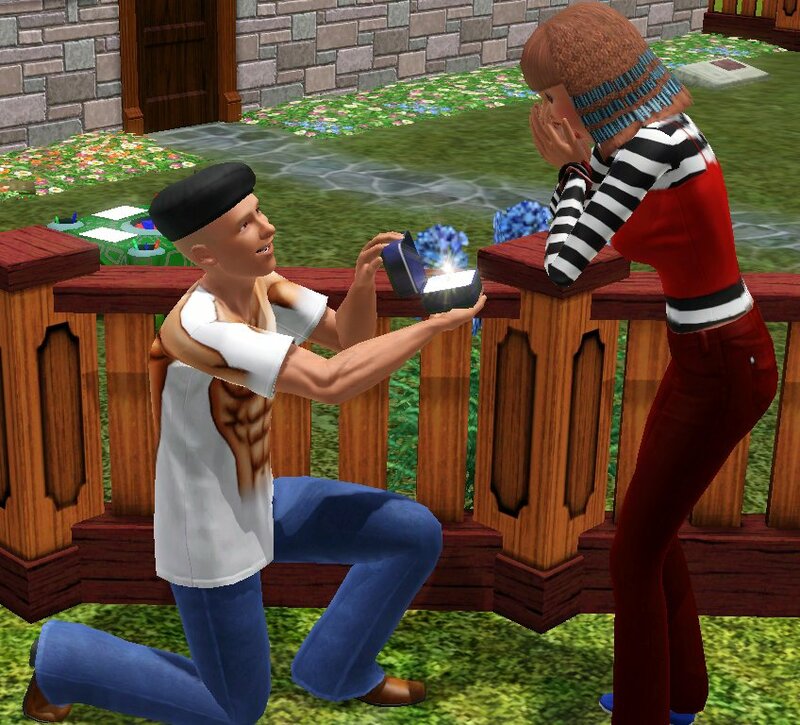 At the bistro she and Dougie listen to Riam Gradle’s performance and after it she gets on one knee and Dougie says yes. Told from Vanessa’s POV. Zeke is staying with his father and Lysa is at her mother so the first time we see the Mayor’s new house it’s only Vanessa and Jill living there. Vanessa is taking martial arts lessons to fill in her free time now that she broke up with her boyfriend Walter and had a fight with her best friend Latricia. She has a new boyfriend now, Cecil Frail but his father had just died and she has no clue what to in said situation so she is giving him some space. She gets on the honor roll and makes a new friend, Chiquita Fegel. Her mother has her birthday party and Vanessa catches up with Krystal, her old friend and she realizes her life is getting back on track. Lysa goes shopping with the Gradle twins, she is looking for a perfect wedding dress for her wedding that is right around the corner. During the time shopping however she receives a call from her fiance learning his mother had passed away. She rushes back to town to meet him at the hospital. She learns Eevee Gradle is falling for her boss. Lysa goes with Dougie to Blair’s funeral and memorial service where everyone pays their respects. Rest in peace Blair Wainwright Hoves. Lysa spends the summer at her mother Jill’s house, we learn Jill broke up with Mortimer Goth, and retired, Zeke still works at City Hall and Vanessa had joined a music club and befriended Frederica Hoves. Dougie asks Lysa out and tells her he still wants the wedding to happen, it doesn’t turn out the way Lysa had originally planned but still Lysa and Dougie finally tie the knot. Zeke’s sister Lucky comes to visit, and she has some big news, she wants to run for city council and she wants Zeke to help her. Overwhelmed Zeke still accepts because he believes in her. Zeke is heartbroken after his failed surprise for Marty. However he finds help from his mother’s newest boyfriend and receives an invitation to an important party. This post contains a table of contents for the Caliente-Frail family with synopsis of each post if you don’t want to read them all (so spoilers obviously). This specific family started with Nala (Sanza) Caliente, after she divorced Dina and moved out to start life on her own. Nala was created in CAS and moved into town with her sister Minissa, Minissa’s husband Riam and their son Benji. Nala was trying to escape a society in which all that was expected from her was to get married and have children. Nala wanted more, she loved music and wanted to create her own, music that the whole world will listen to. Her dreams came true, and eventually she got married too, maybe not the way her mother would have wanted but she and her wife were really happy, they even adopted two girls, Sara and Summer. After the divorce Nala lived with Jill, her fiancee and Jill’s family for a while but they broke up too and she was left alone in a big house she tried to make her home. After her daughter Summer got pregnant and had a fight with Dina Nala accepted her in her own home, and at now she lives with Summer, her son Silvester and Summer’s fiancee Bradley. Told from Jill’s point of view. Nala’s surprise wedding for Jill didn’t work and even though she and Jill broke up after it she decided to let Jill and her three kids stay with her until their house is completed. In a full house Nala still feels lonely and turns to reading logic books. Told from Nala’s POV. Nala Caliente is old, a sad realization that is hitting her as she does her best to be a good mother to her daughter Summer, and grandmother to Summer’s son Silvester. She and Summer don’t really see eye to eye when it comes to raising Silvester and fight over smallest of things. Nala also reflects on her early life, discovering her love for music and fighting social norms set upon her by her mother. She Riam and Nina plan a gig. Nala and Silvester visit the nectary, she learns Silvester wants to write illustrated books when he grows up and that his mother Summer disagrees. The two of them also see Irene Hoves sneaking around and stealing a bottle of nectar. Nala and Silvester come home, Summer whisks Silvester away to a party and Nala is left home alone, she reflects on the earlier days that summer, finding out her daughter Sara is starting the Police Academy that fall, guessing that Bradley’s job is probably more shady than it seems and organizing Summer and Bradley’s wedding. While Summer and Silvester are at a party Nala goes out to town to play her guitar. What she doesn’t know is that would be the last time she plays… The next day she does chores and gossips with her younger daughter before going to take a nap. She dreams of her ex wife and the night Dina proposed to her… She wakes up to see the Grim Reaper (and he is not in his Tad Dustpine form :P). Her body is discovered minutes later by her young grandson Silvester. In this post we see the events that lead to the death of Jesse Hoves from Bradley’s memories. We learn more about who was there and what happened, seen from the criminals’ side.